developing a true understanding of how best to deliver superior dental care in a non- threatening and nurturing way. Our mission is to help infants, children, adolescents from birth to 18 years of age (even though some have hung around a bit longer). We specialise in these young patients and those with special needs to achieve optimum oral health. How do we do this? 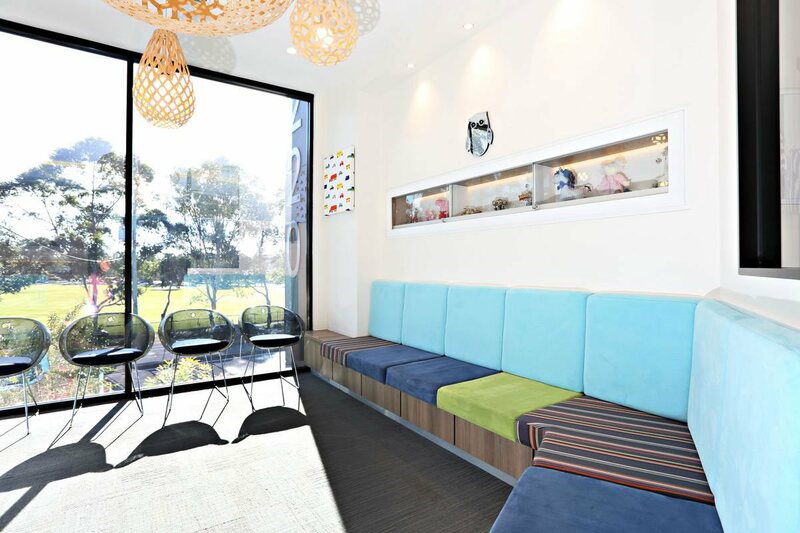 We provide compassionate, child centred and high quality dental care in a fun and welcoming environment where patients and their parents can feel safe and comfortable. We strive to establish a relationship of trust and confidence with you and your child that will be the foundation of a lifetime of healthy smiles. We are a practice that morally and honestly recommends appropriate treatment to every patient as an individual. We treat every child with the same due diligence and care as we would to treat our own children or family members. Happiness and satisfaction is our aim. The Paediatric Dental Practice is proud to be the authority in paediatric dentistry, including the all-too-common problems associated with chalky teeth. Our experience, qualifications, training and reputation mean that we are widely trusted and respected by the very best medical, dental and allied health practitioners and specialists. While our main focus is dental care, our overall goal is health of children so our team works closely with these specialists to ensure a comprehensive treatment approach that is second to none. The practice also houses the very latest in cutting-edge dental technology, sterilisation equipment, operating microscropes and low-dose digital radiography (dental x-rays) including 3D imaging. So what exactly is a paediatric dentist?